Rest assured viewers, that sign says "Ben Avon Heights" on the very bottom. We really had to go against our policy in this place. This sign was the only thing in the entire borough which even said "Ben Avon Heights". Otherwise, I could have been in Havana, Kansas City or Cape Town for all I knew. This borough, though one of the wealthiest in the county has no signage at all. 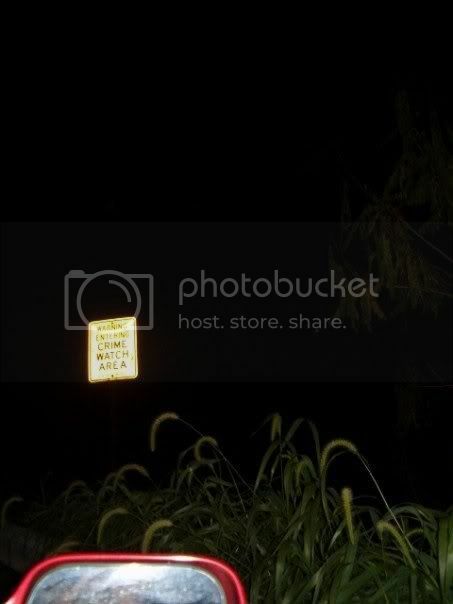 We didn't take our picture with this sign because of the fact it was impossible to reach, being located on a windy road with no shoulder. Combine that with the lack of public parking in the borough and you have a perfect storm of a bad photo. 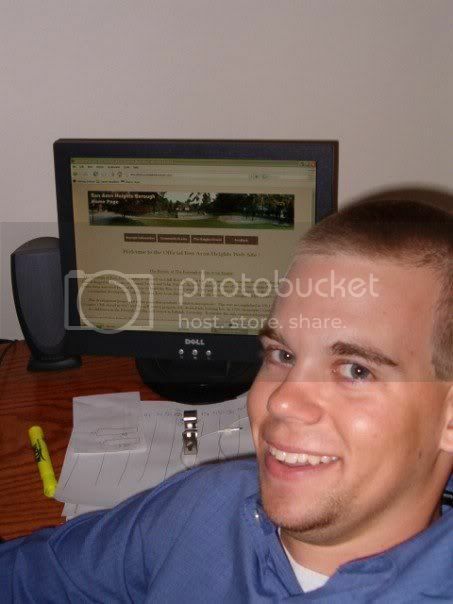 In search of some verification that Ben Avon Heights does exist, we hit the web. Of all the roads we had to take in Allegheny County, this was the first time we were forced to go down the information superhighway to be officially welcomed to a borough. 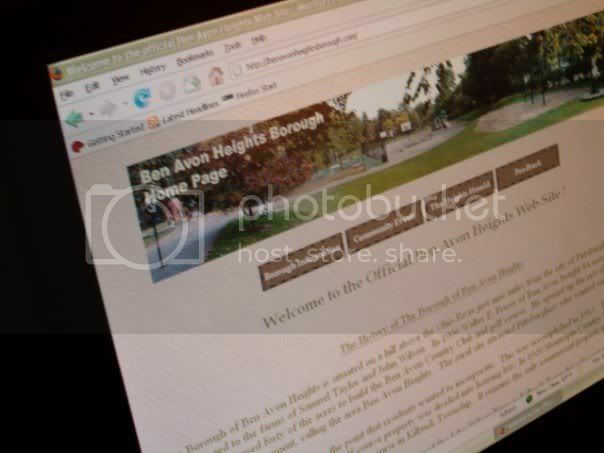 Below is a shot of the Ben Avon Heights website, featuring its virtual welcome sign.